Course Report is excited to offer an exclusive Redwood Code Academy scholarship for $500 off tuition! Fill out the application below to submit this scholarship to Redwood Code Academy . By submitting, you acknowledge that your information will be shared with Redwood Code Academy . Before attending Redwood, I visited various coding bootcamps in the OC area. Instantly, I felt Redwood was the right fit because from day one, I never felt like a number or just another student. Redwood was also the only program in the area that offered a C# / .NET back end curriculum and allowed me to learn the complete full stack throughout the program instead of choosing between front or back end halfway through the program. Before choosing Redwood I reached out to alumni and was very happy with their outcomes and feedback which also set Redwood apart from other schools. My instructors were AMAZING! Each of them had a unique style of teaching that allowed me to learn so many languages in such a quick time. If I ever felt lost or unsure they were willing to give me extra lessons and spend time with me after class to make sure I was absorbing new concepts. Most importantly, they cared about my success. Their success was my success and they were willing to give as much advice and mentorship to help give me the confidence I needed to finish the program. The program and the job hunt both require hard work and persistence. Because of the support of the Redwood staff, I successfully completed the program and within a month of my job search began receiving job offers. I now work as a web developer and couldn't be happier with my decision. Overall I am grateful that I placed my career in the right hands. I am confident if you give Redwood a chance and believe in yourself, work hard and make the sacrifice, you will be successful. I attended Redwood Code Academy in the Summer-Fall of 2018. I also graduated from the University of California, Irvine with a Computer Science degree, and had some previous Software Engineering experience. I had always wondered if I needed to attend a bootcamp to further myself in my career, and was extremely conflicted when deciding whether I should attend one or not. I hope this review will be helpful for those who are also wondering whether they need the help of a bootcamp or not. To start, the bootcamp is VERY intensive. There is a lot of material to learn, and there is little time to digest all of it. Each day, we would start with either lab review, or a whiteboarding session. Then we would go into the lesson for the day, do a couple exercises pertaining to the lesson, and then move into doing the lab for the rest of the day. On most days, it would be difficult to finish the lab, and I would have to finish at home. In addition, if there were any difficult parts, I would spend the night coding more trying to fully digest what we learned. It’s very important to note, you get what you put in. If you don't put in the effort, you will most likely fall behind, and this is coming from someone with experience. I would not suggest attending if you give up easily, refuse to ask for help, or do not want to put in the extra effort to fully understand the material. Now, I would like to first address the negatives of the course. Curriculum: Not everything that was promised was went over to where I feel job-level comfortable. I had hoped to learn more about Agile/Scrum methodologies, Cloud Development, and Firebase. They were either not mentioned, quickly brushed over online resources, or not given proper practice with. Job/Interview Preparation: Another section where I do not feel professionally prepared for the real world. Data structures/algorithms were quickly went over and we were told to learn the others on our own time. Resume review was lacking. I received a few lines of feedback from Redwood, but when I asked someone in the industry, they would give me paragraphs of feedback. We were only given one 30-minute mock interview with quick feedback. Yes, it gave me a sense how an interview would go, but I do not feel any more prepared to ace the interview than when I first started the bootcamp. I had also expected better connections or a chance to meet with hiring managers, but instead we only had the chance to meet with recruiters for a day, and most job postings were links to online job postings. Proper GitHub READMEs were also something hiring managers wanted to see, but this was something I had to learn on my own. Externship: The part I was looking forward to the most was being able to work together and connect with a working professional in the industry. Even though the project was intense and I learned a lot working on it, there was little feedback on our design, and zero feedback on our code. I had hoped to work closer with the client, but that was limited to just one meeting halfway through the project, and one more time at the final demo. The instructors: The two lead instructors - Taylor and Patrick - were fantastic and truly made my time at Redwood enjoyable. They spent countless hours helping my classmates and I and have been incredible resources this entire cohort. I have learned a lot from them and I cannot thank them enough for all the hard work and dedication they have put into teaching us. When I asked a question, they would make sure I fully understood what they were saying, and if they didn’t know the answer to something, they would look into it and make sure to get back to me. There were also additional office hours that taught supplementary material or to help with current material that was extremely helpful as well. The classmates: Some people may think programmers are unsocial, but everyone in this cohort was amazing and friendly. Everyone knew they were here to make a change for themselves and everyone worked their hardest to work towards a new beginning. Everyone would work together and no one refused to helping another. Environment: The environment was very clean, there was plenty of parking around the office building, and there was a fridge and microwave for lunches. In addition, there was a ping pong table, chess set, and poker set that you could use to de-stress or to help process information. In conclusion, I really enjoyed my time at Redwood. Unfortunately, the second half and job assistance part I came for were lacking, and can use a lot of improvement. I definitely feel more confident in my ability to program and I have projects I can display, but I wish I could have the same confidence for tackling interviews and landing that post-graduation job. I hope you have found my review helpful! I attended Redwood Code Academy Summer of 2017. I was always interested in development and technology, before I found Redwood I worked a bunch of minimum wage jobs that were not fulfilling. I got fed up so I decided to better myself. I found Redwood and took there tour and Harrison was great at explaining what you will get out of the course. During my time there I learned different technologies that are on demand in the market. I enjoyed the courses and gained a strong foundation in which i can excel in the field. A month after graduating I was able to land a job at Santa Monica, CA for a software company called CallFire. Here is my linked in if you have any questions. I looked long and hard for a web development bootcamp in Southern California and I am so glad that I chose Redwood Code Academy's Full Stack Immersion Program. My favorite part about Redwood is the teachers. Harrison, Taylor and Patrick are extremely knowledgeable about complex topics in web development, yet completely understanding and encouraging to students who are learning them for the first time. They provide a ton of support for students who struggle with the material without holding their hands, ensuring that everyone grasps it on their own terms. It is abundantly clear that the instructors truly care about the success of each student, and will go out of their way to help them when they need it. Redwood Code Academy goes above and beyond for their students! I attended Redwood Code Academy (RCA) in April 2017 and I am currently working as part of the Xamarin Team at Microsoft. Harrison who is the lead professor and the Founder of the academy has invested so much in making RCA the best Coding Bootcamp in the OC. Harrison and his staff care about the student's success in and out of the program. All the instructors are very knowledgeable in the technologies they teach and work hard in making sure that you understand everything they show you. After I completed the program, Harrison helped me every stepped of the way until I found my dream job! I really felt that RCA went above and beyond by helping me prepare for every interview I attended. I would recommend Redwood Code Academy to anyone who is serious about becoming a software engineer and are looking into making a life-changing career. I want to start this review by stating that bootcamp, as a whole, may not be for everyone. Every day that you are attending bootcamp, you are making a commitment to yourself to put your best foot forward and become a better asset in the job market. When you read coding bootcamp reviews, they are usually all positive. People talking about how they were successful and how they landed their dream job. It sounds like a miracle! Who wouldn't want to have the opportunity of job security and a high paying salary? However, the truth of the matter is, coding bootcamp will not provide that for everyone. It will provide that for the people who show up daily and do the grind. The hours are long and you need to have self-discipline. At Redwood, they do their best to create a stress free environment by having ping-pong tournaments and class parties after class on occasion. They don't do this to distract their students, they do this to help us all out. We spend the day staring at a computer screen, working our butts of to get things done. When I was attending the bootcamp, I had no life outside of it. My dreams started to contain code, I started telling coding jokes! It invaded every facet of my life. And I loved it. I wrote things down that I didn't understand and I researched them when I got home. During the project weeks, I went home and worked on the code til the wee hours of the morning. It was fun to learn and I loved every day of the bootcamp! With all that said, this bootcamp is not a free hand-out. You can't expect to pay the money and have Redwood get you a job if you aren't willing to work for that job. If you are willing to work for it, Redwood is there for you. I never missed a day, I showed up on time, I asked questions and I put my everything into the bootcamp. At every turn, Harrison, Karim, Taylor and Zach were there to support me. They were all so supportive in their own ways. Some days I would come in and be so stressed out from a late night and Karim would be there with a joke to cheer me up. Any time that I was freaking out that I wouldn't get a job, Harrison would be there to pick me up with positive reinforcement. Zach and Taylor were always in the classroom during our daily labs, helping all of us with our problems and finding those pesky little syntax errors. Another thing to take into consideration when choosing this bootcamp is that you are entering a bootcamp that is small in size, relatively new and owned and operated by the lead-instructor. It isn't some huge corporate bootcamp that has been around for ages. But that it what I loved most. When I finally decided to take the plunge and start a bootcamp, I started looking around in the Orange-County area. Redwood was the only bootcamp that sent me a personalized email. When I went into Redwood for the first time, the first person that I spoke to was Karim. He greeted me at the door with a huge smile and a warm welcome. I spoke with Harrison as well, but briefly since the cohort before me was currently in session. Like I said before, Harrison is doing a lot. I have so much respect for what he does. But it's important to remember that people can't be in multiple places at once. I think one of the main reasons for my success at the bootcamp is that I used the staff for the things they were there for. I never fully relied on one staff member for my success. There is a reason that the people that work there are there and if you do end up going here, use them! They are all so nice and they all really do care. They wouldn't be working with all of us and our craziness if they didn't. When it came time to find a job, Redwood had my back. Harrison brought out some people that he knows from the industry to prepare us for what people in the market are looking for. They never sugar-coated the fact that the job hunt would be a grind. It really was. In the beginning, I was filling out job applications for hours a day. About 15 a day. It was exhausting, and I wasn't getting a call from anyone except recruiters. Harrison told us, never turn down an opportunity. So I answered every email and every call. I signed up for every job site I could think of. I took phone interviews from every company, leaving my opinions out. Within about 2 months, I was accepting a job offer. I wouldn't be here without Redwood, Harrison and the rest of the staff. I will always have gratitude for the opportunity they provided me. It is an opportunity that I would relive if I could. There was so much learning, growing and fun had at Redwood! Thank you. Before going into Redwood Code Academy I had very little computer science knowledge, had taken a course or two at a local community college.I had learned a lot more at redwood than I did in a full semester. The atmosphere is great, instructors were very supportive. If you had trouble with the material being reviewed they were more than willing the help you out every step of the way. If you ever find yourself stuck on certain material dont be afraid to ask for help, thats what they are there for. Always continue to learn. 5/5 Would recommend. Some quick advice for anyone looking to join, review the prework assigned and put in some hours after class. I came into Redwood with a very limited background in comp sci and software development and as of 3 days ago, I've successfully completed 12 weeks of their full-stack development bootcamp. The huge amount of material we were able to get through was very well laid out and taught by Harrison and their instructors. The lessons themselves were very helpful to get an introduction to all the moving pieces that are involved in web development and I believe I have a strong foundation to start my career in software development. TL;DR -- 5 stars. Would recommend! As of three days ago, I completed Redwood Code Academy's full-stack immersion program. While it may be premature to say it was the best career choice I've ever made, it has the potential to be. I cannot be more excited to embark on a new career and take the skills I've learned and apply them. Harrison, Billy, Taylor, and Karim were integral parts in my acquiring the foundational knowledge and best practices that will help me succeed in the field of software development. Each had their own area of expertise and it was evident in their lessons. Equally as important, all were more than willing to help me through my bootcamp journey even before and after class. Coming from a background in education, the lessons were well adapted to multiple learning styles and engaged students individually, in pairs, and small groups, which was a plus. If you are looking for a school in Southern California, I would highly recommend Redwood. Redwood is the code school to go to! I have a little bit of a unique experience because I have previously completed the course at Orange Count Code School and worked for a year and a half as a front end developer. Redwood has exceeded my expectations as a code school. We learned far more technologies than I thought was even possible to learn in 12 weeks. The teaching and support here is incredible and the teachers really care if you understand what you’re learning. I think it is a huge privilege to graduate knowing the C#/.NET stack and the MEAN stack. Yes, the programming concepts are the same but you have a larger skill set for the job market and you are able to figure out if one strikes a greater passion in you than another. Personally, I got a job using C# but my passion is the MEAN stack and I was able to figure that out here. Bottom line if I had to choose all over, I would have come to Redwood in the first place because the teachers are outstanding and I really felt comfortable asking questions here. Redwood has proved to me that they are efficient as a school and as a business. The staff maintains a great balance exhibiting professional and personable manners. I was never treated in any condescending way, as I had been at a previous coding bootcamp. The course is streamlined to guarantee every student picks up the languages at the same pace, build applications accordingly as individuals and as a group. Assistance is available at any time, after class and even when you're at home. I greatly respect the efforts Redwood's staff has put in, to ensure the students are crafted into full stack developers, and would invite anyone curious - to spend a day here to get a feel for what a typical day is like. Watching the staff work with all different kinds of students who learn differently, have different personalities and behaviors that shape them into their own kind of developer, it's fascinating to see how fast they all can move and handle such a variety of people. Every student's frustration and challenges were always taken care of. The E in Redwood could go for exceptional or efficient, either works well. Redwood has a community that is evident with previous students and professional developers coming in as guests speakers, who are able to use the environment as a mini work space or to just hang out and visit. A very good friend of mine in my cohort had actually become employed halfway, week 8, (this is not to say you will be employed early on), he accepted the employment and Harrison was personally helping him with in-depth learning in a particular language, guiding him with problems and making his transition out of our bootcamp smoothly into his new full-time salaried job! This bootcamp does not guarantee its' students a job, but job assistance is most certainly available and is put in place. For anyone who is worried about job placement, at any coding bootcamp you go to - it's always going to be up to you to do the hours of searching, applying, interviewing and putting yourself out there. Redwood does provide the environment, time and effort being put into us to ensure we are maximizing our productivity of job search. As a business too, they genuinely care about how they're doing, if they're meeting the students' expectations. We have one on one's that check in on how the student's are doing, how they're feeling so far and what kind of feedback they have if any - this happens every few weeks. I have never read any coding bootcamp reviews about the schools' staff and Founder, taking the time to check in on student's personally and making sure that both sides are happy. They promise a specific cirriculum, and they delivered accordingly. I Only Wish I Had Done This Sooner! When I was 18, I thought I knew exactly what I wanted do, had my entire life planned out to the very last detail, and put in countless hours to get to where I wanted to be. After graduating from UC Irvine, I received an amazing offer at an established company that provided me with many opportunities. Although everything was falling into place, I began to feel a great sense of emptiness. I was very fortunate have an extremely patient supervisor that provided me with the resources to succeed, however, I knew that this was not path that I wanted to continue on. Despite the countless moments of conflict, I was assigned the task of redesigning the company website which I eventually took on the role as a Project Manager for this project. I used Adobe Illustrator to create wireframes of the look we were aiming for and also worked with the developer to determine the best user interface for our customers. Althought it was not an easy process, it was extremely rewarding to be able to be a part of creating something that our users enjoy using! This was the most enjoyable project that I had the opportunity of working on and this was also when I began thinking how could actually make this a career. After much consideration, I decided that it was time to redefine my goals and move on. I knew for a fact that I wanted to be in an environment where the learning opportunities are dynamic and continuous. I looked further into Software Development and found the field to be absolutely fascinating! I then left my job to pursue a career in Software Engineering, which was extremely intimidating as it is a field that I had absolutely no background knowledge in. In the first couple weeks of the program, I felt extremely overwhelmed and was extremely uncertain if this was the right path for me. As time progressed, however, I can't believe that I've found myself falling more in love with programming with each passing day. It's definitely not all rainbows and butterflies as the instructors at Redwood constantly push us with new challenges each and every day. They won't give you the solution to the problem, but they do an amazing job at guiding you get to the solution on your own. Their curriculum and approach to teaching definitely prepares their students to succeed in the workforce. Although I find myself constantly challenged each and everyday, it's been an extremely rewarding journey thus far. Whether it's something big or small, we are literally creating something everyday - Whether it's building a game, creating a website, or collaborating with other developers to make a app! Redwood has countless resources to help you succeed so all you have to do is just ask and they'll be there to guide you in the right direction. Whether you want to leave a job that you're unhappy at, change careers, learn a new skill, or whatever your heart desires - I challenge you to take control of YOUR life and just DO it. It took me a year and a half to muster up the courage to make this transition, but I've never been happier and I wish the same for all of you! I was nervous about taking a risk of attending a full-time bootcamp, but since I've gone through it, I am confident I made the right choice. They helped guide me through a few steep learning curves that would have taken me much longer to get through on my own. This applies to both the languages themselves and the tools used to make it all work. There have been some concepts that seem overwhelming, but Harrison and Billy are very knowledgable and break it down into smaller bits that are easier to digest. Having done my research before attending a bootcamp a common piece of advice I read about was that you get out of it what you put in, if you're willing to put in the work, Redwood will definitely go more than halfway to get you to your goals. I highly recommend Redwood to anyone that is serious about learning to code. I was just like anyone else at the beginning of the course. I had a lot of hope that this was not going to be a bust or waste of time and I'm so happy that 9 weeks later I feel I'm doing things I used to watch other techies do and wonder if I'd actually get to learning it in my lifetime. Now I'm mad I just did not do this a long time ago Harrison and Billy really have an excellent way of teaching so that you get the meat of it all. Harrison and billy are a beast when it comes to knowledge and experience in the field and I'm so happy I came here because I know for a fact it very rare that instructors have such a deep pool of knowledge to draw from. I feel very confident on interviewing for the job I want due to the fact your teacher could pretty much hire all the people that would be trying to hire you. Harrisons Bio doesn't come close to what you learn about him in person and Billy is always there to back you up when hit that wall. Jobs Jobs Jobs That's what you want to know about well in the mean time I'm trying to get everyone I know in here for the fact I already have three job offers halfway through the course. The need for developers is not dying it's growing as we head into this new technological era so once I started just telling people what I was studying for people were giving me there business cards offering pay that is 50% more than what I currently make at my lame 9-5 job ummm can you say complete life change. I have a daughter coming around April first and at the beginning of this year I was stressed out on how I'm going to pay for everything so i can be a great dad considering I have not been back to school in 20 years, to be able and pick this up and start a new life is beyond words to me. I personally feel that this is the time to get into a boot camp and save yourself for 4 years of debt. If you go to college it would take 4 years to get what we get in 3 months at Redwood but main difference is we use the technology when it's hot, school you will be going back to BootCamp to learn what's up to date. If you don't have the luxury of time and free rent, food and people just flat out paying all of your bills this is the place to be, and if you do, it's still the place to be lol. Redwood Code Academy did not change my life it literally saved it to think I was going to procrastinate and take a later class, id just be further away from the success that I'm enjoying today and the class is just 4 weeks to go. Is it tuff yes its a challenge you will hit that brick wall but the teachers are here to pull you up and they always do. My advice is to never give up stay hungry and time will fly so many people waste so much time in 3 months you are literally a different person and personally I'm basking in the new me. Had a great experience attending Redwood. Initially I was trying to teach myself but could not progress at the speed I wanted to go. So I took the plunge and attended Redwood. The instructors were great. Harrison, Taylor and Zack were on hand to guide us to find solutions when needed. The format was perfect in terms of learning the material. Lessons with the daily and weekly labs, followed by a few projects. It was a wonderful learning environment. Harrison and Taylor did excellent jobs presenting the material in a way that was easy for me to ingest. I was able to get a job a couple of months after the bootcamp ended. Should you decided to join, definitely commit and put in the effort since the time goes by quickly. I attended the Summer-Fall Cohort of 2018 as part of the Full Stack Immersion course. 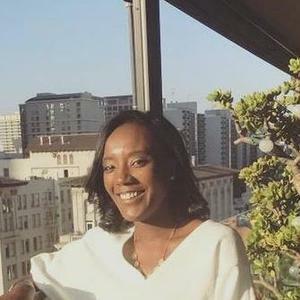 I had graduated from UCLA with a degree in Aerospace Engineering so I a little bit of experience in coding (took one basic C++ course and mostly coded mathematical computations using Matlab). Overall, like most of the other reviewers had said, you really do get as much as you put into it. The instructors at Redwood try to help you to the best of their abilities and provide you the resources to become a better developer, but at the end of the day, it wholly depends on how much of an effort you put into it. Instructors were great, Patrick was extremely knowledgeable with every question that I asked him and would give me extra resources if I wanted to know more about something. Taylor was also very great, he was extremely patient and kind to all the cohort members especially if you were at a roadblock. Harrison was also great as he was especially knowledgeable of the industry and with most of the holistic aspects. Loved the atmosphere as everyone in the cohort was extremely friendly and just fun to be around. The after hour lessons were extremely helpful as they went over concepts that we did not have time to cover in normal class hours. (Would highly recommend you stay for the after hour lessons for at least the first half of the course). I also gained a lot of insight about the job market as guest speakers came and answered any questions about the hiring process. We also participated in a group project (optional) for after hours in hopes that we would develop a deployable application. This was extremely fun and rewarding as I had learned a lot from this experience. Sadly, we were not able to finish it as we had gotten too busy with the externship and personal projects. The first few couple of weeks were a little slow for my pace, but I decided that take that as an opportunity to hone my skills further by assigning myself extra goals or finish more of the curriculum from freeCodeCamp to prepare myself for the upcoming weeks. As the 12 weeks were coming to a close, I still felt like there was so much to learn and I was still not that confident in my coding skills. After all, I was competing in the job market against 4 year CS degree students. It still felt like I had a long way to go before I was ready for my first job. Overall, I did not have too many gripes about the curriculum as whatever I believed they were lacking, I took it upon myself that it was my responsibility to ask for resources and do independent studying. I don't really have any input in terms of job assistance; I got sick on the day of the mock interview (which I really regret missing). I would recommend attending this academy only if you have the motivation to learn. After the cohort ended, I took job searching a little slowly (tried to make it a goal to get at least 7-10 job applications a week). After about 3 months, I was finally able to get my first job offer which I gratefully accepted. All in all, I really am thankful of the instructors of Redwood Code Academy for helping me achieve my goal of landing a job as a developer! I would like to preface this review with a disclaimer that this review was not meant to attack the school itself, but instead provide an honest review on how I experienced the program. I hope that my readers will take these points into consideration instead of meeting this review with anger. I also want to give "Overall Experience" 3.5 stars since I did enjoy parts of the cohort (but there aren't half stars!). Job assistance: going into this program, I really wish that the recruitment process would have been a lot more transparent in terms of job outlook. If it will take an average of three months to find a job, please make students aware of it. I was very unhappy to learn that months into the program, considering I was encouraged to leave my full time job for the full time cohort, with the push of "You'll make [the 13k tuition] back in two paychecks." With interest piling up, I don't quite think so. Job prep definitely should have been more hands on- resume help should be in person and not over Slack. I had to seek assistance from my classmates to turn my less than stellar resume into something that really showcased my professional experience. It is also worth noting that interview prep and "recruitment" only took place over two days during an optional week. Please prepare students with more information on the computer science side of interviews. Integrate more concepts into lessons. I can code, yes, but can I explain it? Not really. C# and .NET: For technologies so marketable in the area, I was hoping that this portion of the cohort would be more comprehensive and involved. Instead, I didn't feel that I got the most out of this portion. It felt disorganized and rushed. Trying to study C# outside of the program really emphasized how little I knew about the language. Externship: Our capstone project. I have mixed feelings about this one. On one hand, it was a really neat experience getting to "work" in the industry, but was it really work? There was no code review for our work - after the presentation, we instructed to just zipped our code up and ship it to, what I will assume is, our client. Nothing else was mentioned or said about the project. There needed to be more transparency and more professionalism with this project. There is no paper trail of our having done work for our clients, yet we were instructed to list the externship as work experience. I want to know what our project became since my group and I worked extremely hard on it. Also, there was very little communication with our client. The instructors: The instructors were absolutely fantastic. Super supportive, and fun to be around. There was no such thing as a stupid question to them, and I really appreciated how open they were to helping students to make sure nobody falls behind. The culture: Speaking from the perspective of the only female in the cohort. Everyone here was very inclusive. Not once was my gender made salient. The school was awesome in that regard. As I've mentioned above, there were parts I really enjoyed about the program. The first half of the program was very informative, and I learned a lot during my time here. But the second half of the program really could've used some fine-tuning. First half had really good pacing; second half was rushed. So, you might be asking why this stuff is being addressed here. Well, I think when you've initially graduated, the thrill and enthusiasm from accomplishing something big really fills you with positive feelings, but as I started to recap as I am preparing to get out there, I began to realize parts that were really lacking. I loved the school, honestly. I hope that this review doesn't discourage you from applying,as there were good parts, but instead helps you to really think about it. It's a huge life decision, so having both sides of the coin is helpful, in my honest opinion. When I arrived for an info session at Redwood I exprected to be ushered into a room full of people for a typical hour of power point slides and a general sales pitchy type session. Instead I was welcomed by Harrison, Redwood's Founder and Karim, Redwood's Program Director who sat me down for an individual interview which I appreciated. This allowed me to get better insight for the program and allowed me to ask questions I would've been hesitant to ask in a group setting. The transparency was present from the beginning and reassuring when making a big decision like this. It truly set them apart from the options in OC. Got nothing but respect for everyone in my Cohort. We all put in hard work, long hours, coded together and on most Fridays had a student podcast. Friends were made and I would be happy to work with any of my fellow RCA alum knowing they have the skills and programming thought process required to make software. Things move fast in development and the technology stack that was covered was a great starting point for my foundation of knowledge. I left knowing I would need to continue to evolve over the next few months and years to come. All instructors Harrison, Billy and Taylor we’re always professional accessible at any point of my frustration or confusion and I knew that help was only one slack message, "Hey Billy, or help me.. I don’t get it. " My personal limits were the only boundary… RCA might teach programming but they teach a skill even more valuable and that’s the ability to think like a programmer. To me, programming is a thought process and I can confirm that the RCA instructors can teach one to become a developer if the student is willing to be taught. Updated my resume with my newly acquired software development skills and had no issues finding work with in the software industry. Happily coding most days. I did a lot of research before I picked a coding school and these guys lived up to their online representation. This review is for the Full Immersion program. The professors are dedicated to the students, the curriculum is relevant and up-to-date, and Harrison is pretty much a genius and can solve any issue that comes your way when working through labs or projects. It is absolutely true that you get what you put in, but the professors are right there with you and always providing support and encouragement while keeping expectations realistic when it comes to projects. They don't overly micromanage your time, so your lunches are yours and if you're done with all labs etc. for the day sometimes people would leave early, but most of the time there is a stretch lab so you can keep going to learn more, again you get out what you put in. Great career advice and prep and had industry speakers come in and share their knowledge the last couple weeks. Would highly recommend this school. Hit me up @codernoon on Instagram if you have any specific questions or contact the school directly, Karim is super helpful. Anyone that is on the fence about whether or not to attend a bootcamp - stop debating. If you’re researching the code schools to death and still feel unsure of where to go - stop looking. My only regret is not starting this sooner. I researched a ton of camps before deciding to attend Redwood, and I am so thankful that I made this decision. The curriculum is current and relevant to the job market. The content is challenging and intense, but you can still feel comfortable asking questions and seeking help when you need it. If your curiosity of a particular technology takes you somewhere beyond what the course curriculum entails, the instructors are more than willing to work with you on whatever your interests are in their free time. You have 24/7 access to the truly brilliant minds of the leader and instructors, which is an invaluable resource. What sets Redwood apart from the rest is the obvious dedication, brilliance, and enthusiasm that exudes from their staff. It’s apparent that they eat, sleep, and breath code. The instructors are excited about development and dedicated to your success as a developer. They provide you with the knowledge, training, and resources that it takes to secure that dream job. I have no complaints about this program and would highly recommend it to absolutely anyone. Don’t just take my word for it though...contact Harrison with any questions, concerns, or thoughts you may have about the program. I assure you he will respond in a timely manner with all of the info you’ll need! I came into this course not knowing anything in regards to coding. I had my doubts and had visited several boot camps before making a decision. The first impression is always the most crucial and Harrison Spain blew me out of the water. He walked me through how this course works and what the expectations are. He put my mind at ease. Over the past 3 months, i have had ups and downs, I have felt completely lost and each time something connected the feeling of accomplishment was amazing. Several fully functional apps later I have a solid grasp on coding for the languages that we have learned and full confidence in learning new ones with ease. 10/10 would absolutely go through this experience again. The teachers were awesome, the students were great and I am all the better having gone through this class!!! .NET is used in a variety of software applications and industries – but what’s all the hype about? 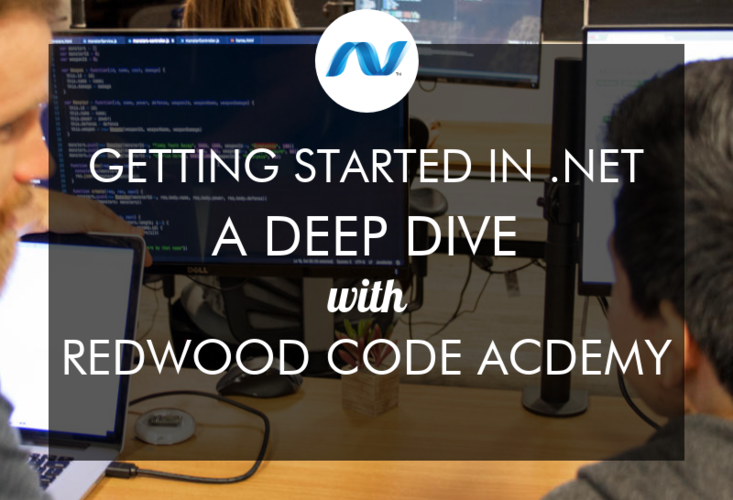 We spoke with Orange County-based Redwood Code Academy Founder, Harrison Spain, to learn all about .NET development. See which companies use .NET, learn the top skills you need to excel in the field, and check out how Redwood Code Academy equips their .NET students to succeed. Tell us about your background in .NET and at Redwood Code Academy. 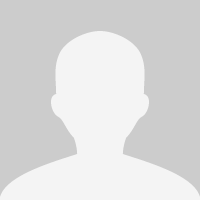 I am the founder and lead instructor for Redwood Code Academy. I have been coding since grade school and have been a professional developer for 17 years. Through my career, I have worked for and founded several startups, published two games, built many software teams, and worked for Fortune 100 companies. My current goal is to help teach and mentor the next generation of software development talent. Let’s start with the basics: What is .NET, and what are its origins with Microsoft? .NET is a framework for building software applications across a wide spectrum of platforms. It allows someone to learn a language such as C# and apply it to web, mobile, desktop, server, security, embedded, VR, game, or AI development and more. .NET was originally created by Microsoft and ratified by ECMA in 2002. It included the CLI (Common Language Infrastructure) and C# and was intended to make development for Windows platforms simpler and more standardized. Since then, Microsoft released numerous updates and additions allowing for broader and broader uses for the tools and languages. .NET has been open sourced for nearly 4 years now under .NET Core, and is now a community-driven framework. This means that it will adapt quickly to industry changes, and these changes can involve newer techniques, technologies, and tools that the developer community collectively decides to adopt. Which industries most commonly use .NET as their operating system? You will find .NET as the technology of choice across a broad range of industries. Any business that needs a robust system with the support of first class tooling and time-proven infrastructure can benefit from using .NET. These are all risk-averse industries which need a platform with a history of stability but also a clear future of innovation. What are some examples of products or apps built with .NET? Stack Overflow (stackoverflow.com) is the savior and best friend for any developer today. It works fast, with rich features, a very large audience, and without any known downtime in recent history. It runs on the .NET platform with a fraction of the overhead needed for similar systems on other platforms. Here is a good article from 2016 describing the Stack Overflow architecture. A few recent innovative fast food companies have also leaned on .NET for their mobile and web offerings. Taco Bell for instance runs their website and backend on .NET for both their web customer and new mobile app customers. Olo (olo.com) also runs their platforms on .NET and their mobile app on Xamarin. If you are into game or VR development, Unity is a top choice for today’s game developers and much of the development done in Unity is with C#. Some hit games such as Terraria, Bastion and Magicka were all built in large part with .NET. What is the demand like for .NET skills/jobs? Are they concentrated in specific parts of the world? The demand for .NET coders is higher than it has ever been. .NET coders can find work anywhere in the world and the demand is becoming relatively spread out geographically. With the introduction of .NET Core and the open sourcing of the tools and framework, typically non-Microsoft regions such as San Francisco are finding a resurgence of .NET adoption. It would be really hard not to find a part of the world that isn’t using the technology. What’s fueled the growth of .NET over the past decade? Stability. The tech world is renown for being fickle and moving from one fad to the next relatively quickly. .NET has been one of the common threads through the last 17 years of technological changes and I think that it attracts businesses and developers because of that. Since Redwood Code Academy is an Orange County bootcamp, do you anticipate that most of your grads will get hired in the area or move around? We anticipate most of our grads will stay in the area – who doesn’t want to live in Orange County? We have seen some graduates find work a bit north in Los Angeles or up to San Francisco, but there is plenty of work in OC to go around. The nice thing about graduating with .NET skills is that you don’t have to stay local. There is work wherever you want to go. Would you recommend someone learn .NET as a first programming language? There are a lot of free online content to help people learn to build apps with .NET, so why do people need a coding bootcamp like Redwood Code Academy to learn? A coding bootcamp like Redwood Code Academy gives students the ability to interface with industry professionals and peer students in a rigorous and personal environment every day. Coding is almost never a solo venture and gaining the ability to code with other people will help tremendously once in the professional world. Also, it’s tough to be able to progress with coding skills when roadblocks, errors, and understanding issues take hours or days to resolve. By having someone literally right next to you to look over your shoulder, students can progress at a much faster rate and really accelerate the entire process. Redwood Code Academy teaches .NET. What can students expect to learn in the curriculum? We specifically teach C#, ASP.NET, .NET Core, and Web API 2. Using these technologies, we add Entity Framework to manage our databases and PostreSQL as our relational database. Students are able to build entire enterprise ready back ends for their web and mobile apps using these technologies. This includes an HTTP RESTful API, file processing systems and data management processes. We also introduce students to Xamarin, which is Microsoft’s way to build native mobile applications using .NET. What do you think is missing in .NET development education these days? Is Redwood Code Academy working to solve this problem? The main thing missing with .NET development education is that most schools and coding bootcamps don’t teach it at all. Given the market share that .NET has in open software developer jobs, there is a large disparity in what schools and coding bootcamps teach, and what the market is looking for. Redwood Code Academy is working to be the leading coding bootcamp that also teaches .NET. As an educator, how do you build a .NET curriculum from scratch? Are you receiving feedback from potential employers? Our .NET curriculum was built from our experience developing for the platform since it’s alpha days in 2001. Our educators and curriculum authors, including myself, have built multi-million-dollar products from the ground up using .NET as well as platforms for businesses such as enterprise space exploration companies, and financial underwriting engines. Through building the teams to build these systems, we know what is important to teach and how to lead someone from A-Z in these technologies. 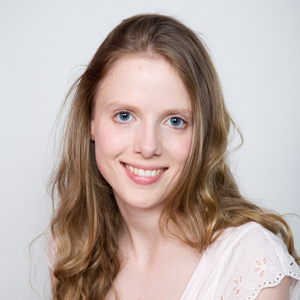 We also have a cognitive science specialist on the team who uses the generalized theories of learning to ensure that our methods can be understood by a wide range of students. Our employer network also uses .NET extensively in addition to many other technologies. They continue to keep us up to date on what the needs are of the market and we adjust accordingly. On top of .NET, what other technologies are you excited about right now? What do you think is “next” in web development? React is huge right now and it’s only getting bigger. We are very excited to now include this as a core part of our curriculum and to stay current with its progress. React Native has become a go-to platform for mobile development – you can learn React for web development and essentially get mobile development with it. The most recent addition to our curriculum and something we are excited about is GraphQL. We are also super excited to offer this as a part of the program as it solves so many real-world problems. Our employers are also happy we are teaching it as many of them use it in their core products. What skills and qualities do you need to be a good .NET developer? Are there specific things you’re looking for in the interview process? Being a good .NET developer isn’t any different from being a good all-around developer. During our interview process, we are looking for the ability to understand abstract logical concepts. Someone who likes puzzles, taking things apart, or is interested in the way things work, is going to succeed in our program and as a professional developer. We look for those traits in various ways including an in-person interview and technical assessment. What would make someone stand out in a .NET developer job interview process? In an interview for a .NET position, interviewers will usually look for some basic object-oriented knowledge and how it relates to C#. Understanding the core principles of OOP and how they relate to C# syntax will get you a long way in an entry level .NET interview. Because .NET is such a wide-ranging platform, you usually will have to pick a niche within it once you start progressing beyond the entry-level positions. Picking that niche around web development will often be the best choice because it is the most sought-after skill set on the market right now. Understanding ASP.NET and its many components will make a candidate stand out in those interviews. For people who are interested in learning more about .NET, what resources or meetups do you recommend? Because .NET is such a proven technology with a long history, there are tons of online resources to learn more about it. Microsoft’s own documentation is some of the best you will find and you can often get entire example applications and walkthroughs through their docs. For instance, if you were interested in the open source .NET platform (.NET Core), you can find out all about it and get started with Microsoft’s .NET Tutorial. As for meetups, most software meetups will be applicable to .NET as the technologies involved will touch .NET in some way, or can be used through the .NET ecosystem. Technossus, a software consulting agency with a local office, often hosts meetups with topics in relation to .NET which are highly recommended. Read Redwood Code Academy reviews on Course Report. Check out the Redwood Code Academy website. Isaac wanted a career in software development but found that community college couldn’t teach him the technologies he’d need for the job. 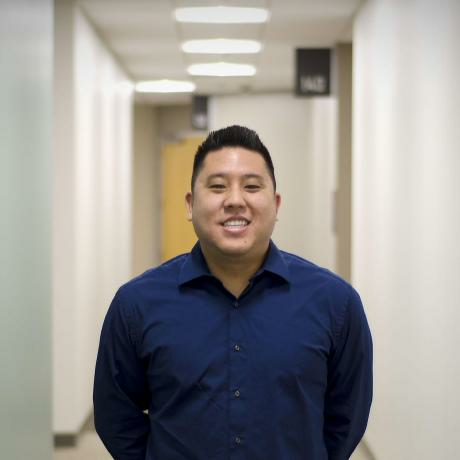 After doing his research, he chose Redwood Code Academy in Orange County to learn modern, full stack web development. 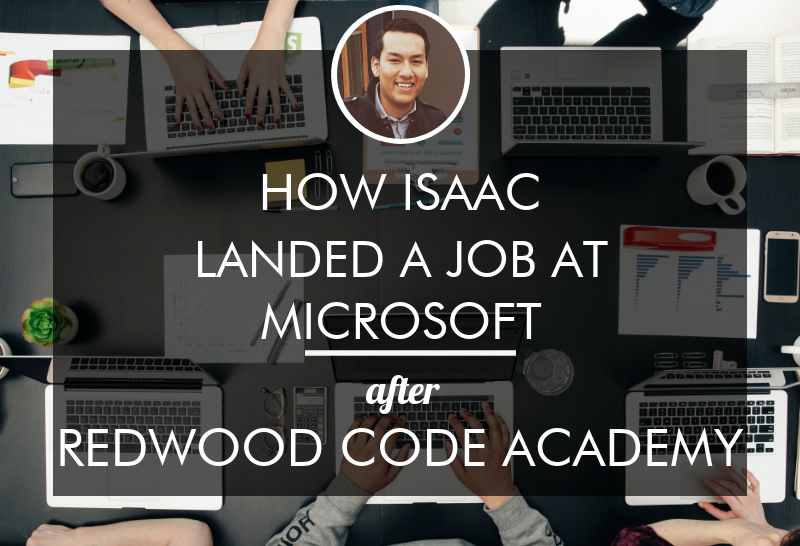 Isaac tells us about the learning style at Redwood Code Academy, gives advice for other students considering a coding bootcamp, and explains how his final project at Redwood ultimately led to his new career as a Vendor Support Engineer at Microsoft! How did your path lead to a coding bootcamp? I’ve always been intrigued with computers. I got my first computer when I was 10 and enjoyed messing around with software and installing games. When I graduated high school, I didn’t know anyone who was into software engineering, so I wasn’t sure how to get into the field. With that web development and data management experience, it sounds like you already had a pretty good understanding of technology – why did you need more skills from a bootcamp? Even though I built a website, I didn’t fully understand the concept of web development, and I didn’t think I was prepared to get a job in software engineering. My role at the nonprofit wasn’t a very technical job, it just helped me learn how a server works. I knew there was a difference between front end, back end, and databases when it comes to building web applications – and those were things I wanted to learn about. Why not just learn to code on your own, online? Even though there are good online courses that you can use to teach yourself, I personally needed to have someone to ask questions when I was stuck. I honestly wouldn't think I would be in this situation without Redwood. I decided to go to a bootcamp like Redwood because I knew I would have resources, and wouldn’t have to rely on asking questions on Stack Overflow or on forums. Redwood has definitely played a big role in starting my new career at Microsoft. What made you choose Redwood Code Academy? Did you research other options? There were some highly recommended bootcamps in Los Angeles, but I live almost two hours from LA, so they weren’t convenient. I only live about one hour away from Redwood Code Academy in Orange County. I used Course Report to look at reviews and tuition costs, but one thing that stood out about Redwood was their part-time course. Because I was working full time, I wanted to take a part-time course at first, then enroll in a full-time program. Redwood was only one I saw which had an in-house part-time program. I talked to Redwood Code Academy founder Harrison Spain, met the other instructor, and they were willing to work with me. I started off as a part-time student, then I switched to the full-time immersive program. My parents offered to help me out financially, so I quit my job at the legal nonprofit and started the whole course again. I got double the front end learning because the program started from scratch, then we moved on to back end and server-side technologies. The interview process was a little easier than I expected – I had heard from YouTube and podcasts, that some code academies were pretty selective. I had a one-on-one conversation with Harrison, he showed me what they expected of me, and what I was getting into, but there was no project to build or any coding test. After that interview, and after paying a down payment for the school, I got pre-work to work through before class started. What was your cohort like at Redwood Code Academy? There were seven of us in the cohort, and we all had different backgrounds. One of my friends is a mother of four and was looking into a career change and very eager to learn. She was an inspiration to me – seeing that she had all these responsibilities and still came to bootcamp for eight hours a day really pushed me. Another friend taught science at a high school, other people were trying to learn technology like me but had found it hard to pursue in community college or university. We were all eager to learn, and learned a lot from each other too. What was the learning experience like at Redwood Code Academy? In the morning we got a refresher of what we learned the day before and could ask any questions we had. There was some discussion, a code review, some coding challenges, and maybe some whiteboarding. After that, we had a new lesson, we’d download the class material on Github, and follow along with that until about 3pm. From 3pm to 5pm we had a lab, and the professors would hang around to help us complete it. Every three weeks, we had one week to build an application using what we had learned so far. The instructors would help us with whatever we wanted to do, then we would present our projects. The learning experience I had at Redwood was amazing – I really enjoyed it. I don’t regret one day I was there. It was very intense and hard, but it prepared me to be more disciplined, and I spent time after each class learning more. The professors are very knowledgeable, and Harrison has a lot of knowledge and history from his career. Everyone really cares about student success, and they were always there, even after hours, to help out. What was your favorite project that you built at Redwood? For the final project, we could build whatever we wanted, using any technology. I decided to build a mobile app with Xamarin, a technology that wasn’t taught in the class. That was something I was proud of – out of all the students in the cohort, I was the only student who stepped up and learned a new technology in two weeks. How did the bootcamp prepare you for job hunting? In our last week of class, we worked on our resumes. Harrison used to be a hiring manager, so he knew what the industry was looking for, and prepared us for job interviews, helped us out with LinkedIn, mock interviews, and whiteboarding exercises. We also worked on our soft skills, which sometimes can be forgotten as an engineer, and how to show that we’re eager to learn and want to pursue a career in technology, even though we don’t have much experience. After our cohort finished, Harrison was still available after hours to provide job preparation. For every job interview I had, Harrison did a mock interview with me, with code challenges and whiteboarding, showed me how to present myself, and how to talk about my experience. So you’ve been at Microsoft for 8 months now! Congrats! How did you get the job? I’m a Vendor Support Engineer. I was approached by the recruiter from the vendor company Allyis Inc. They pursued me because of my experience with Xamarin; they reached out via email and LinkedIn, then we had a phone call. Xamarin is the mobile development technology I taught myself for my final project, and having that on my resume helped me stand out for positions using C# and mobile development. It’s a great opportunity, I love my position. I interviewed with the account manager who is connected with Microsoft and the vendor company. Then I did a technical interview with a Senior Escalation Engineer from Microsoft. Before that interview, I subscribed to Xamarin University and studied for a whole week, so that I could answer the questions. From there I went on to interview with the hiring manager. That was more of a conversation about why I was interested in the position. They called me about two hours after that last interview and offered me the position. That was a great experience – I never would have expected to be working my first technical job at Microsoft. It’s a big blessing and a very humbling experience. Tell me more about your role, your team, and what you are working on. As a Vendor Support Engineer, I’m in a support role for the Xamarin framework. There is a team of 10 of us, and on a daily basis we help developers around the world with their applications. It could be your average engineer who is learning the technology for the first time, or a smaller company which is building a mobile application with Xamarin, or big corporations like airlines, hotels, governments, and banks, who use our framework for their applications. We help them with certain features that they want to implement in the application, build sample projects for customers, or help them troubleshoot if their database is not connecting properly. We have direct contact with the Xamarin product team and let them know about issues and bugs that customers are experiencing. The support engineers are basically middlemen to communicate customer issues to product engineers. On the team we have very senior engineers who have been working for Microsoft for over 20 years. That’s something I like because they are open to teaching, they want you to know more and always be up to date, they have seen the history of Microsoft and working with something that’s a new tech, and are very knowledgeable and willing to help out. What was the learning curve like when you first joined Microsoft? How did they onboard you? When I first started I was at the Microsoft campus in Texas for 6 months – from December to June. They gave me the option to stay in Texas or go back to California and work remotely, so I chose the California option, to be closer to my family and my girlfriend. Working remotely, I still do the same thing but from a home office. At the Microsoft campus the first three months were training, preparing, getting everything set up, and making sure I had a strong understanding of what I was going to do. The onboarding process was very interesting. When I came in, they gave me a mentor who helped me out and introduced me to my role. My manager requested that I get certified as a Xamarin developer, so I worked on that and within three weeks, I took the exam and got certified. I also had to learn about customer support, and get familiar with the regulations. The onboarding process was pretty smooth. Now having been at Microsoft for eight months I feel more comfortable than when I first started. In addition to improving your Xamarin skills, did you have to learn other new technologies when you joined Microsoft? I’m constantly learning here. One technology I had to learn was Azure, because most of our customers use it for databases. I’m also learning about other .NET frameworks. Even though Redwood didn’t teach Azure in their curriculum, they taught us how to research and find documentation for new technologies. So when Microsoft asked me to learn Azure, I knew how to research and break down the documentation. That has really helped me in my career here at Microsoft. You don’t know what customers might ask you – it could be about a technology I’ve never touched, so I regularly use Stack Overflow and Google to research the answer to a question. How has your background doing web development and data management been useful in your job? When I first started searching for new opportunities, I thought my background wasn’t going to be useful, but I did put it on my resume to show that I had worked in the past. One skill I learned at the legal nonprofit was being able to communicate with customers. I knew how to work with clients, attorneys, and the DA, so I had to have very good written and verbal skills, and be able to politely ask for information. Have you kept in touch with Redwood instructors or other alumni? After I graduated, Redwood made me feel more than welcome to hang around, help out students, and share my perspectives and experiences about the bootcamp. Since I got back from my Microsoft training in Texas, I’ve been in communication with Harrison and I’m in constant communication with at least two or three alumni in Slack. I feel like Redwood is like a community and we have a good relationship with each other. If this is something you’re very interested in, and something you will love doing for the rest of your life, I would say pursue it. Do your research – Redwood worked for me, and offered me a lot of tools, but there are a lot of great code schools. I would highly recommend going to visit each classroom. In general I highly recommend coding bootcamps for those who are very set on a career change and serious about becoming a software developer. Find out more and read Redwood Code Academy reviews on Course Report. Check out the Redwood Code Academy website. Quinton Fults served in AmeriCorps in a variety of roles from child life specialist, to nutrition and math teacher. After finishing his service, he realized that coding may be the best next step so he enrolled in courses at a local community college. After one week, he dropped the course because he was introduced to Orange County-based coding bootcamp, Redwood Code Academy. See why Quinton decided to learn to code at a bootcamp instead of community college, read about his Redwood Code Academy learning experience, and hear his tips for the job search. What was your educational background and last career path before you started at Redwood Code Academy? I never really had any interest in computers. After graduating from high school my first job was through AmeriCorps and NCCC out of their Southwest Region in Denver. I did team-based national service for about two years. I did an eclectic variety of things – I was a child life specialist at a children's hospital, a certified tax repairer, I did rural addressing for the Navajo reservation, I taught nutrition classes, I taught math, and I was a contract painter. It was fun. After that, I came home to Fountain Valley and started looking into coding bootcamps. What was the connection between your AmeriCorps service and realizing that you wanted to learn how to code? I have a cousin who has been very influential for me. He's the CTO at a software company in Irvine called Technossus, and we're very close. We're the only two people in our family who are the same age range that could be brothers. He'd always talk to me about bootcamps when I'd come home. He’d talk about the level of connection between service and web development, and also music as well because I'm a professional banjo player. What made Redwood Code Academy stand out in your search? My cousin was working with a guy at Technossus called Harrison Spain, who is the founder and lead instructor of Redwood Code Academy. They worked very closely together, so my cousin told me about Harrison’s background and what the school was doing. One thing led to another, and I decided to enroll because I thought it was a really good opportunity. Talking with Harrison about the level of experience that I would get out of the school, it seemed very project based. I learn a lot more from working on something. So after talking with him, I had a very good sense that there would be a good amount of quantifiable outcomes that I could gain from experience. There were a lot of very introductory and then refined skills that I could really benefit from if I wanted to get into the coding world. Did you try to learn to code on your own at all before Redwood Code Academy? How was your transition from AmeriCorps to bootcamp? When the opportunity presented itself, it was a pretty spur of the moment thing. I had just started going to college at Golden West, but I decided as soon as I saw the coding bootcamp path that I would drop out and start preparing for that instead. I had been at Golden West for a week and I ended up dropping out just under the wire to get a full refund. My time coming out of AmeriCorps was pretty structured for what I was going to do. I knew I was going to go to college. But then I had a couple of days where I had met with my cousin and Harrison; talking about the coding bootcamp sounded really exciting. So I discussed it with my family and decided it would be in my best interest to take this route, try to find employment for a few years, and then get into the industry. My ultimate goal being to establish myself well enough that I could start freelance work while in college. I had about two weeks until it was starting, and Harrison was very kind. I asked him if there was anything that I should work on prior to the course, and he sent me a couple of courses in HTML and CSS to get my feet wet. I had a couple of weeks of rigorously going through some online content on preliminary subject matter. Also, Udemy was offering a new year, new me deal for their online courses which was remarkable. The courses are $100+, but they had all their courses on there for $10. Did you consider any other coding bootcamps within Orange County or were you sold on Redwood Code Academy? Through the work my cousin does with Technossus, I found out a lot about Harrison and Redwood Code Academy. I'd spoken with a few other people in the industry, but within the Irvine area, where I live, the consensus was pretty much the same. If you want to learn how to develop software, Harrison is the guy you want to learn from. He is the coding wizard. Learning a bit about his level of understanding and skills, and from the recommendations of the people I talked to, he seemed to be the number one person in the area to learn from. Were you looking for a specific type of curriculum offered by Redwood Code Academy? I know I learn better with a project or task-oriented curriculum. I benefit from being taught a lesson, and being given a task for which I have to look up information, think about what I just learned, and apply it. From what I had found out about the course, it was very project oriented. Since I graduated, I've been taking more online courses to continue to grow my knowledge base. One thing I always look for in a course is something like "Learn Angular by building 12 applications.” That's something that Redwood provided on a daily basis; new curriculum and a project that would apply the skills. Tell us about the application and the interview process for Redwood Code Academy. The process of getting into the class was supposed to be similar to how your first coding interview would be for a job. It’s not necessarily technical questions, but more finding out where your passions lie and why you're interested in development. It's a course for pretty much anybody with any level of background whatsoever. Redwood Code Academy goes from ground level one, to the full extent of the subject area. Regardless of the pre-work, we had about a week and a half worth of HTML and CSS, learning that definitely supplemented the online courses they provided me. It was very useful especially in the application of the skills side. It was nice to come with a beginner's knowledge of what to expect and then go in there and be able to apply those skills. Do you have any tips for our readers on how to ace the Redwood Code Academy interview? Yeah. Harrison has a background with doing a lot of technical interviews. The course is really open to anybody interested in web development, so you don't need to have any coding background whatsoever. The interview is actually optional. Something that's good to know all around is the idea of being honest and being very real. This applies to any coding interview, in the job field interviewers can tell if you're not being fully honest with them. With my spur of the moment choice to go to Redwood Code Academy, I was very honest with Harrison about my background and what my interest in doing it was. I was very real about who I am and why I’m interested in doing the course. You want to make good impressions on people. Harrison and the co-instructor Billy Pruden can be very good assets for you in the future so being honest is a good way to keep that relationship strong. How many people were in your cohort? Was it diverse in terms of age and gender? We were about 10 people. Race and age wise, it was fairly diverse. I was definitely the youngest person in my cohort, being 20 at the time. There were three or four people in their mid-to-late 20's and six or seven people that were 35 and up. As far as gender, our group was all men. Could you give us an overview of your learning experience at Redwood Code Academy? Share a typical day and the teaching style. The course is separated into three phases. Phase one is front end development, phase two is back end, and then phase three is different frameworks and more specialized learning. The phases start with an introduction to that type of development. During the last two weeks, you do an end of phase project either by yourself or doing pair programming. On the last day of the phase, you do a presentation of that project. On a daily basis, the morning and maybe the beginning half of the afternoon would be a lesson. Either Harrison or Billy would walk the class through either a new language, or more specialized concepts on the language you had just learned. Towards the end of the lesson, they'd introduce us to the afternoon project. Typically, when you're starting off on a language, they like to do console applications. For example, let's say we just learned C#. They would create a roleplaying game where you're battling monsters and collecting gold in the console application. So you’d work on that using the skills that you just learned from the class. Billy and Harrison would go around and help answer any questions that you had. On occasion, they’d finish the day with a final little lesson to refine a concept, answer overall questions, or they'd do a practice interview question. Usually, you’d get a weekly chance to go in front of the class and practice doing a technical interview question on the whiteboard. Did you have a final project that you had to present? What did you create for your capstone project? My partner and I really encompassed every single thing that we had learned in Redwood for our capstone project. We used every single language and framework that Harrison and Billy had taught us, as well as any of the more specialized things we learned during the phase three section – to do with Node, using cookies, and Express. What was a really good move on our part, and I would suggest this for anyone attending the school, is to ask Harrison and Billy "What kind of applications will we be expected to build in the job market as full stack developers and what would look good on our portfolio or GitHub?" They recommended a customer relationship management (CRM) app. It was not the most exciting idea that people came up with, but it’s invaluable for showcasing our skills and comprehension of the languages to employers. The CRM app is on my Github and we called it Turn because it helps turn leads into clients. One of the questions that came up was whether or not we should host these capstone projects. Harrison and Billy informed us about how typically when an employer is looking at your work, they want to see your code as opposed to the application. Very rarely would they try to run it; employers want to see how well your code is written, maintained, and debugged. Now you've graduated from Redwood Code Academy, how have you been spending your time and how’s your job search going? What's really good about Redwood is that there's a week or two towards the end of the course where they talk about what you should do while you're applying to jobs. The job market right now is a bit shaky. It's the beginning of the year and companies are starting their new year budgets, so hiring is put on the background. There's also tax season, as well as the U.S. political shift. January 2017 and February 2017 are definitely not the easiest months for applying to jobs, so I’m still on the search. But I'm never without something to do in regards to continuing to be an asset to myself. There are a lot of things to do, like working on projects, doing online courses to expand my knowledge base, refining the projects I'd previously done, and contributing to open source projects. When finding your entry level position in development, something that Redwood Code Academy highly recommended was canvassing. In southern California, there are a good deal of development jobs, but in order to be really successful, you have to apply to a lot of places. One of the big tips Harrison gave, which I found to be very useful, was to get my name out there. Every morning I should be applying to at least 10 new positions. Spending every day working on a new project, learning a new language, applying to a dozen jobs is really the way I've been spending my time, and I'm finding it very useful. Are you still interacting with Redwood Code Academy for your job search? Are they still helping out even though you’ve graduated? When you're coming out of a bootcamp and looking to expand your value as a developer, you may also want to learn things that you're more interested in. Redwood helped provide a way to continue my learning and help my job search, which were two things I wasn't expecting to get out of the course, but have been very useful. One of my big recommendations I have for any job seeker is keeping your connections alive. Have a circle of people that you really want to stay in contact with. It's been very beneficial for me to be very engaged with Harrison and Billy. I have lunch with Billy once a week and talk to him about the job search, different topics on coding, and ask for advice. Are you going to different networking events in Orange County? Are you still keeping in touch with the other Redwood Code Academy alumni? Yeah. There's definitely a bond that's formed from being in a bootcamp with a group of people. There are a lot of good groups that meet in the area and I'm a regular at a meetup in Long Beach called Uncoded. So there are a lot of smaller things aside from job skills that you gain from the coding community. It’s great to be able to talk about the industry, and learn new things. With these coding meetups, I think someone who doesn't have much previous technical experience might find themselves a bit lost. Having a better understanding of how to code has been very beneficial for getting immersed in the scene. What has been your biggest challenge or roadblock in your journey to learn to code? When starting out it was hard for me to take the initiative of not asking questions. There's a certain mentality you need to have to bang your head against a wall for an hour for you to learn. My biggest challenge has been not asking too many questions. There are things that if I would spend the time, I could figure it out for myself as that's where the real learning comes from. Having that confidence to trust myself to figure it out on my own was a challenge for me. Billy and Harrison are very helpful so it was easy to simply call them over when you're working on a project in class, and ask them for help. I don’t want to discourage asking questions because they definitely value very good questions, but there's definitely a level of expectation that you really need to allow yourself to struggle with the code. What advice do you have for people thinking about making that career change into software development and thinking about attending a coding bootcamp? I would advise anybody that enjoys creative problem solving, puzzle solving, and working on putting the pieces together in any sort of project – this is a good career move. But coding is not without its challenges. One thing that programmers need to be comfortable with is the arc of the coding process. You have to get comfortable with going through moments of complete clarity, and moments of complete loss and confusion. You can’t let it emotionally affect you or frustrate you because that is part of the process. You really need to enjoy the game of puzzles and trying to solve different problems, because coding is really about breaking things and fixing them; and then breaking them again and fixing them again. Read Redwood Code Academy reviews on Course Report. Check out the Redwood Code Academy website! With 16 years experience as a software developer and a hiring manager, Harrison Spain saw first hand how hard it was to hire competent software developers. To help fill this talent gap, Harrison decided to launch Redwood Code Academy in Orange County, CA. Harrison tells us where traditional education falls short, why he chose to teach .NET, and how his experience in the Marine Corps has made him a good leader and teacher. What’s your background and why did you decide to start a coding bootcamp? I've been a professional software developer for about 16 years, and a developing manager and hiring manager for the last 10 years. I've hired hundreds of developers, have been very involved in the Southern California tech scene, and I’ve worked with a lot of different startups and enterprise companies. Through those experiences of hiring, working and building teams, I saw a really big talent gap. It was really hard to find developers to hire. Looking at traditional college education, I just didn't feel students were getting the skills necessary to succeed. So I decided to start Redwood Code Academy to fill that gap between traditional education and the real world skills that are necessary to get a software development job. Why is the world ready for Redwood Code Academy now? I had this idea about four years ago, but I decided that the market is right for this now. There's a really great need for Redwood, especially in Orange County where there are not many coding bootcamps. There are a lot of people looking for an education like this, and I've always had a passion for teaching, coaching, and mentoring. How did you originally become a software developer? Did you teach yourself to code or did you get a CS degree? I’m mostly self-taught. I've been doing software development since I was eight. I started out playing around with Visual Basic, then in junior high school I learned to program a TI graphic calculator. I went to UC Irvine for a computer science degree, but most of the skills I use day-to-day were learned on the job. I feel that a lot of learning happens by doing. With that self-taught background, is that why you identify with the bootcamp learning style? Yeah, 100%. If something like this was available back in 2000 when I started, I would have jumped on the opportunity to attend a school like that. It just wasn't around back then, and even now it's still kind of grassroots. I spent six years in the Marine Corps as a tank commander. I feel my experience learning how to instruct, how to lead, and how to mentor a group of people in the Marine Corps is very relevant to software development in general, especially to a coding academy like this. I think it lends a unique perspective as well, because I don't see a whole lot of Military veterans in software development. What technology stack are you teaching at Redwood Code Academy and why did you choose those specific technologies? We also found that there is market need for .NET right now in Southern California. And we feel like if you know .NET, and C# specifically, you can really translate that to a lot of other programming languages, like Java or Ruby. Is your own background mainly in .NET and C#? Yes. I've been working with the Microsoft stack since 2000 when .NET 1.0 was released. I've worked with Objective-C, Java, Ruby, and others, but most of my experience is in .NET. What was your curriculum development process like? Did you start from scratch? I've been teaching and mentoring developers from entry level through senior level for the last 10 years, so I've learned quite a bit about natural progression between concepts and how to teach full stack software development. I use that experience as the basis for our curriculum. I also looked at other coding schools’ curriculums and what was working for them. I talked to other bootcamp graduates and asked them what could have been done differently or better. In the last five years, I've worked with dozens of employers. I know what skill sets they would hire for immediately if they could find developers. I'm using that information and incorporating it into the curriculum, so that when our students graduate, there will be companies that need exactly what we've taught here, which is really important. Do you have a team with whom you collaborated to write the curriculum? Redwood Code Academy is myself, plus a team of coaches, mentors, TAs and former bootcamp graduates. How did you decide that 12 weeks was the right length for Redwood Code Academy? Twelve weeks is a really good timeline to get a student to the point where they can do a technical job comfortably. It's not so short that there might be significant gaps, and it's not so long that you're wasting money and time before you could actually go land a job and learn a lot more on the job. I think 12 weeks is a good middle ground, and it's the average length of a coding bootcamp right now. What's the structure and learning style of the program? We're going to be doing daily instructional lectures. We have morning exercises, and then we go into a lecture that I will give on each day's topic. We will then have hands-on exercises in the afternoon, assisted by myself and the TA. In the evenings, the format will be like a reverse educational forum where students are either working on their portfolio project, or working on extending exercises from the day. They can specialize a little bit, they can ask questions they might be struggling with, or they can move forward a little bit faster. How many instructors or teacher assistants or mentors will you have on campus at Redwood Code Academy? For this first class, it is going to be myself as the lead instructor, with one assistant instructor. The assistant instructor comes from a Ruby background and has worked at a few different startups and on a lot of software projects. He went through General Assembly’s full stack web development course, so he has the experience from one of the tried and true courses. He knows what works, knows what could be done a bit better, and he helps out in that way. What's your ideal cohort size? Are you aiming for a certain student to teacher ratio? We're looking at 18 students per cohort, and so about a nine to one ratio. Our first cohort is shaping up to be a full cohort with 18 students. Where in Santa Ana is your campus located? We have our own space, which is about 4,000 square feet in the Red Hill Technology Center. It's right behind the Tustin District, off of Red Hill Ave and Barranca Parkway. It's a couple blocks away from the new SpaceX building. In the Tustin District, there are a ton of hip places to eat, drink, and hang out. We're right down the street from the John Wayne Airport tech scene. There are probably 200 companies hiring within a mile from this campus. What's your classroom actually like in Santa Ana? We have a classroom for 18 students with a projector, screen, and dedicated workstations for everybody. We have a break area where people can have lunch. We're setting up another area as a collaboration area, and an incubator for graduating students. Then we have a couple of conference rooms and offices for breakout sessions. It’s a work in progress, but our cohort starts on October 3rd and I think it's going to come together really well. What are the admissions requirements at Redwood Code Academy? Are you looking for particular experience or knowledge of programming? We're not requiring any experience. There’s an interview process where we talk to every potential student to make sure each person is passionate about what they're doing, that they're dedicated to the program, and have some of the very basic fundamentals of understanding coding. We will start at the core of "here are the basics of HTML, or here are the basics of languages," but at the same time it's requires someone that at least understands what software development is in general. Over my years of interviewing and talking to potential employees, I think I have a pretty strong sense of the mindset that it takes to be a software developer. So I'm using that interview process as as the main gate and the qualification to join. Will applicants have to complete any sort of coding challenge? No. We do ask some technical questions on the phone interview, but we don’t have a specific coding challenge at this stage. Once a student is accepted into Redwood Code Academy, do they have pre-work to complete before their first day? Of the students who you've been interviewing so far for the bootcamp, what types of people are being drawn to Redwood Code Academy? For the most part, our applicants are people who have always wanted to do software and were just never quite able to put it together, but are drawn to the logical aspects and the career stability of software development. We have a few musicians, which is interesting. Musicians seem to be drawn towards software development. They would like a more stable career, a better-paying job, and feel like it would be a good fit. You mentioned you have an incubator for graduate students. Are you hoping to see students who actually want to start their own business when they graduate? I think for the large part, people who attend a coding bootcamp are the same types of people who want to start a business. They have that entrepreneurial mindset and are looking to do something new. That opportunity is there if they want it. If graduates want to start up a company, and have an idea, we have about four or five offices and a co-working space built into our Redwood Code Academy space. It will be free, but they will have to apply for it. They have to come up with an idea, and a basic business plan, and it will be relatively competitive. We will take people who we feel are going to have the highest chance of success, and who have the highest level of drive. As well as physical space, will you be giving those incubator students any other kind of support? Yes, absolutely. A big part of Redwood Code Academy is the support that we’ll give to students and graduates. The founders of Redwood Code Academy and myself especially, have a lot of connections and relationships within the industry. Being able to make those connections and introduce people to different companies is going to be pretty big. We also have quite a few ties into the venture capital scene in Orange County. By having an incubator in the OC, we can definitely make introductions to people who are ready to invest in startup companies, and people who are looking for our specific type of graduates. Is your first cohort at Redwood Code Academy going to be local to the Orange County area or coming from other parts of California or the United States? We are attracting students from across the country for our first cohort. We have students coming from places like Colorado and Oregon, but for the most part, it's relatively local. Los Angeles, Orange County, San Diego, and Riverside are where the majority of our students come from. Once people understand what we can provide post-graduation, the incubator space, and the level of instruction we can give, I think we'll pull students from a pretty wide area. How are you attracting a diverse applicant pool at Redwood? Being a veteran myself, I would like to offer scholarships to veterans. We're working with a group called VetNet that helps find jobs for veterans, so we’ll be able to get a diverse group of people coming out of the military, the Army, Marine Corps, Navy, and Airforce who are looking for a job. Veterans are a smart, motivated group, ready to dig their hands in; they just need the opportunity. When I was a hiring manager, diversity was at the forefront for me. It’s important that equality is built into our application process, to see if they have the drive, the passion, and the understanding to do software development. I think that attitude of being impartial, really creates a very diverse group. Speaking of veterans, are you considering going through the VA approval process so that veterans can use the GI Bill to pay for their tuition? The accreditation process to do that is lengthy and expensive, but it is definitely something we are exploring. It would be a huge benefit to veterans to be able to use those GI Bill benefits to pay for the school, but there are other ways that we can make it feasible for them as well, until we can get that accreditation. Is there anything special you’ve had to do to get licensed to operate in the state? How are you going to help students prepare to find a job when they graduate? Towards the tail end of the course, we'll dedicate time for resume preparation, and we’ll cover what you should say to land an interview, and eventually land a job. We’ll do interview preparation on answers to interview questions, how to speak in interviews, how to handle technical challenges, etc. We'll also be hosting hiring days on campus where we'll bring in potential employers, and give the students the opportunity talk to them. It will be like a meet and greet or a reverse job fair. We’ve already lined up a number of interested employers. We’re interested in the job market in the Santa Ana and Orange County areas. What sort of companies are hiring and what sort of skills are they looking for? In terms of company types, it's really all sizes and types of companies. I know at least six different startup companies that are picking up steam, and I know for a fact they're having a hard time filling out their development team. Orange County is really heating up in terms of venture capital money. There are also stable Fortune 500 and enterprise-level companies, the majority of which are also using the .NET framework. Now that .NET has been open-sourced, it's also really opening up itself to the startup scene. We see a lot more startups using it, especially because the tools are very inexpensive if you are using C# versus some of the other competing languages. There's a lot of need across the board for graduates. There are other coding bootcamps in Orange County like LearningFuze, Sabio, and Orange County Code School. What do you think sets Redwood Code Academy apart from those bootcamps and makes it stand out? I think a few things make us stand out compared to those schools. Our campus has a lot of space dedicated to learning; plus, we have a dedicated incubator within the campus. Also, the level of instruction, some of our instructors have 20 years of teaching experience, is high. And we have great relationships with the Orange County tech scene. Plus, aside from Sabio, there aren’t other code schools teaching .NET, so having a full stack .NET curriculum will be a really big selling point. What's the biggest lesson you've learned in launching Redwood Code Academy? Once I started promoting Redwood Code Academy, I realized that the applicant pool was larger than I anticipated. There's a ton of support behind Redwood and a ton of interest in it. So I've learned to think big, and work out how we can accommodate more students. What sort of resources or meetups do you recommend for aspiring developers in the area who want to find out more about coding? Find out more about Redwood Code Academy on Course Report. Check out the Redwood Code Academy website. Any other information you'd like to share with Admissions from Redwood Code Academy ? By submitting, I acknowledge that my information will be shared with Redwood Code Academy . An email with these details has been sent to Redwood Code Academy . You've already applied to this scholarship with Redwood Code Academy .